Fruit baskets from O'Goodies are anything but ordinary! Our beautiful and elegant presentation makes for a lovely gift, and as always, we are happy to customize to the best of our ability for you. TOO much fruit in a gift might spoil before it can be eaten, so we like to add gourmet foods to the basket WITH the fruit (unless specifically requested ALL FRUIT.) Fruit baskets include apples, oranges, pears and bananas, plus other seasonal fruits. Tropical fruit baskets (mangoes, bananas, pineapple, kiwi) available upon request. 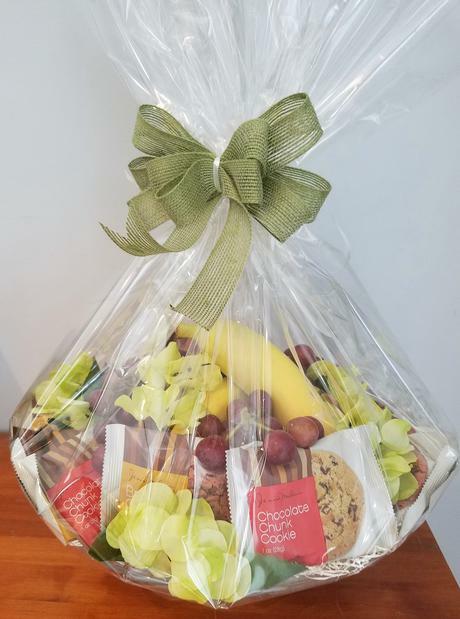 Our Fruit Fondue baskets are very popular, too - they include chocolate fondue, fruit for dipping, and other goodies that are also great to dip into the chocolate, like pretzels and cookies. What fun! SHIP FRUIT BASKETS ANYWHERE. Click here for the list of areas to which we deliver. Features a hand-picked selection of two dozen fresh strawberries, plus chocolate dipping fudge for creating these delectable delights yourself! 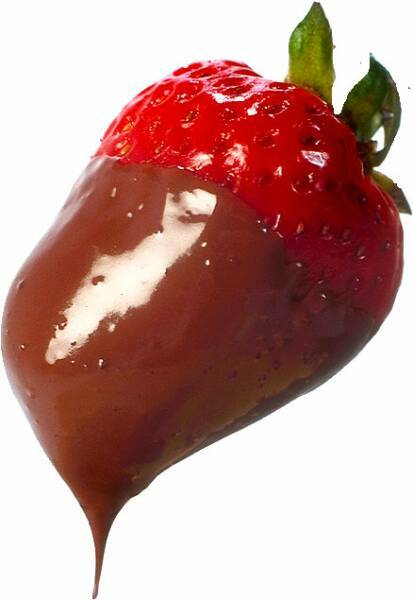 Makes a beautiful presentation, and you can't get any fresher chocolate-covered berries than this!! Plus, it's great fun covering ANYTHING in chocolate! Local Delivery ONLY.